With rich industry experience in this domain, we are occupied in providing Cleaning Products that are used for cleaning grease, oil & factory soils. The offered cleaning products are processed using the finest quality chemical compounds and progressive technology in compliance with industry quality norms. Our quality experts test these cleaning products as per the quality norms so as to ensure the effectiveness. 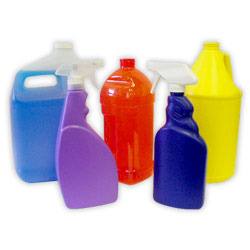 Moreover, clients can avail these cleaning products at pocket friendly prices.